The Reynard Spring/Summer 2017 Tour has been a very adventurous one, and we were ecstatic to hear so many great comments from our audience members! 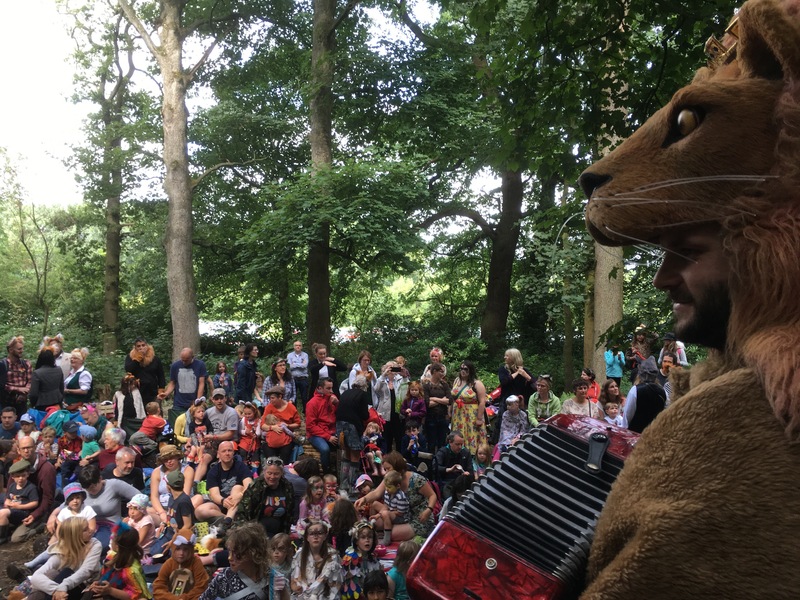 Reynard visited 18 events, with a total of 40 performances! All of which had a cracking turnout, so a HUGE HUGE HUGE THANK YOU for your everlasting support! 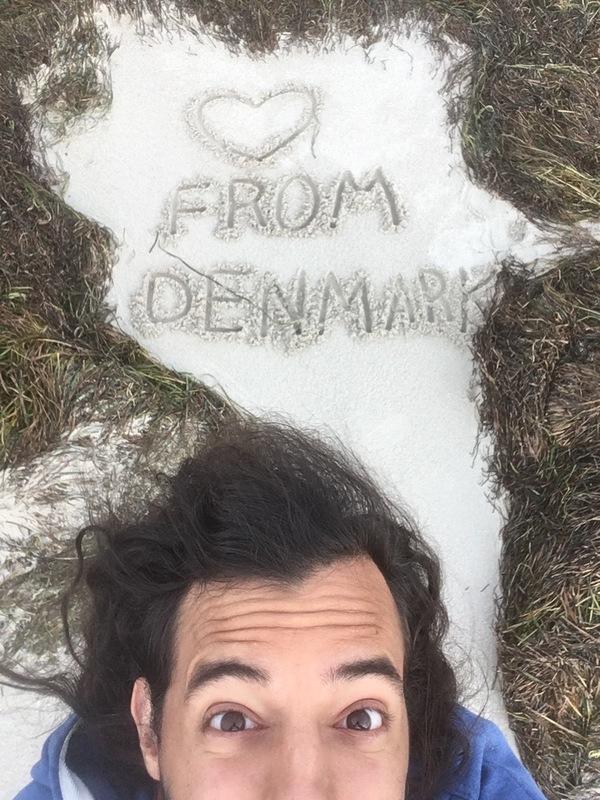 You can check out our Facebook and Instagram feeds to see all the photos from the tour and see our usual shenanigans! More information for these performances will be posted on our social media closer to the date. 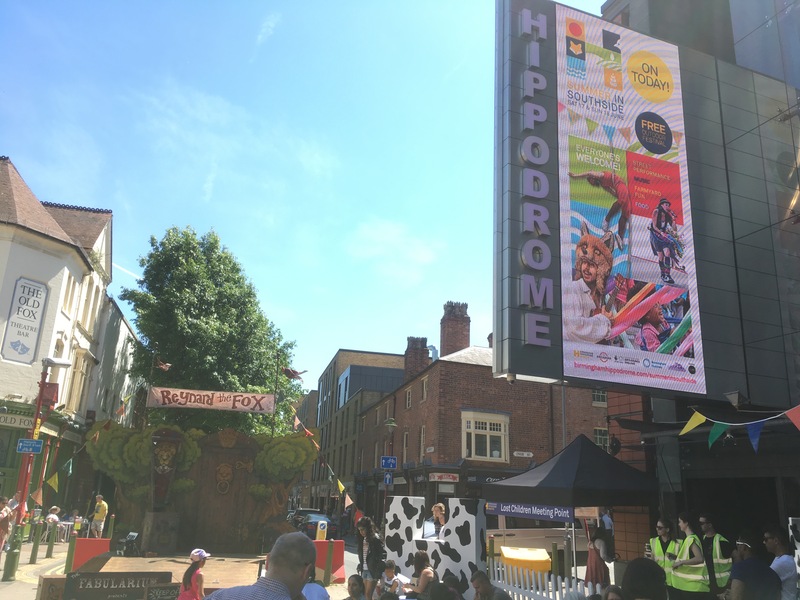 Following the success of The Cautionary Tales production that we developed with Coventry University students in their outdoor theatre module, we invited them to join us at the Just So Festival and bring the stories into the Tales of Animalia! 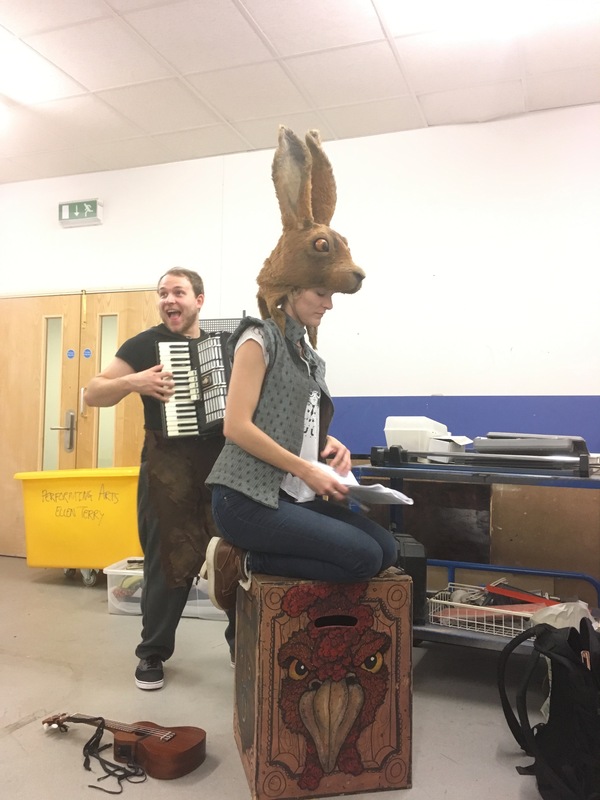 And after some slight character changes in rehearsals (mainly turning humans into Animals) we were ready to return to the woodland place! 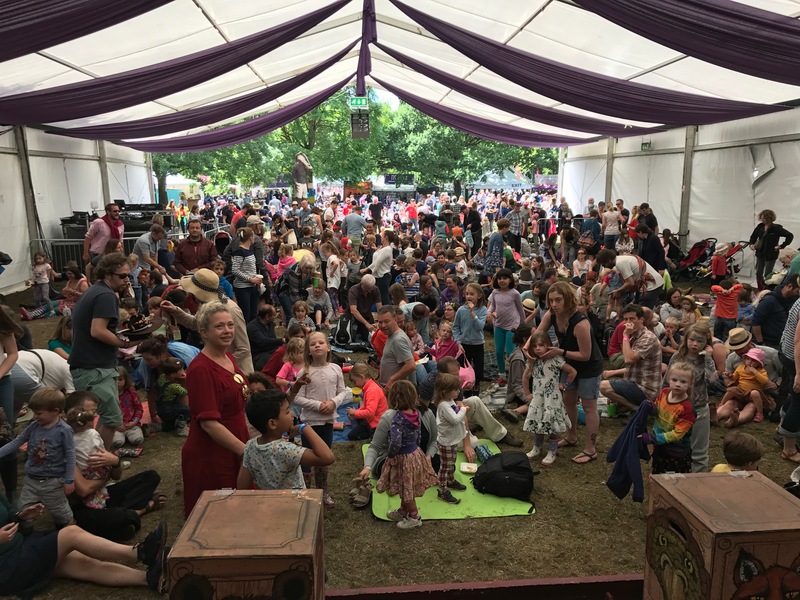 Once again we were overwhelmed by the turnout in the Animalia, with so many kind words from the audience, and even MORE overwhelmed to have so many returning audience members with us. 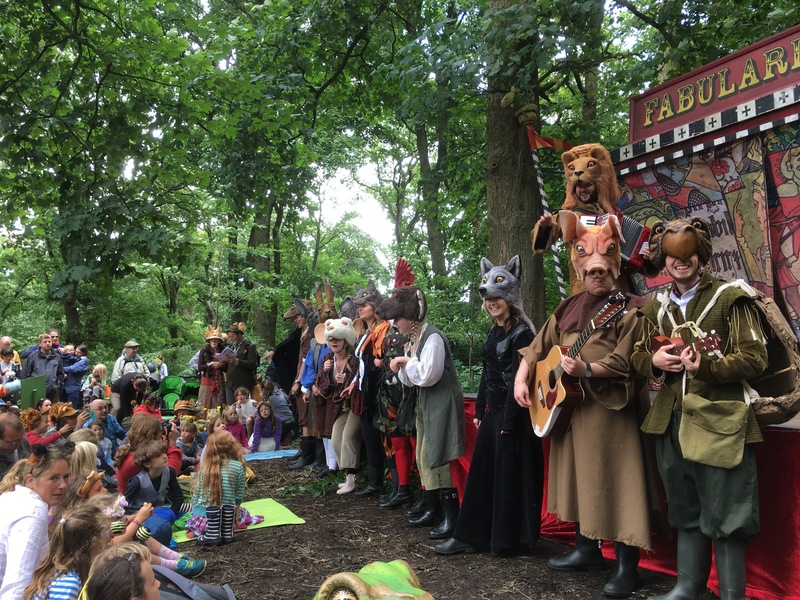 Thank you to all who came along and joined us in our woodland glade, for sharing our stories and taking care of our beloved animals. The students enjoyed themselves, and so did we! 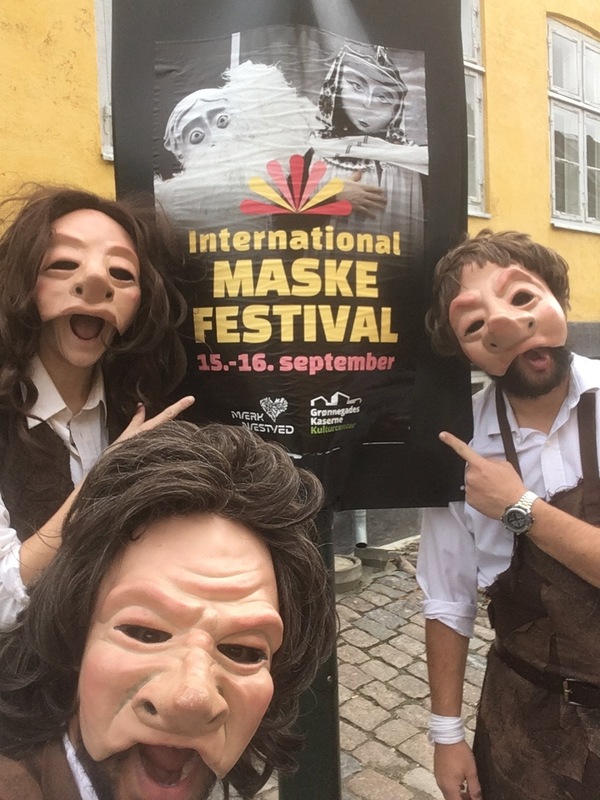 Back in September we flew out to Denmark to perform at the International Maskefestival in Næstved, where our Playful Peasants took to the streets to explore and, inevitably, wreak havoc! 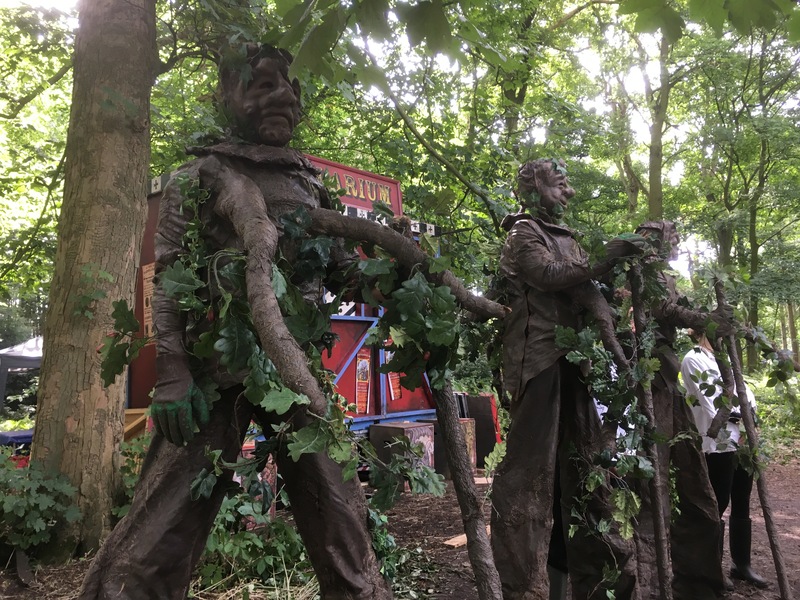 The Maskefestival is relatively new and presented an exciting programme of mask-based performances in the forms of stage shows, street threate, walkabout acts and night-time spectacles. We felt honoured to perform alongside the likes of Familie Flöz, Teatro Due Mondi, and our good friends Thingumajig Theatre, plus many more! All in all, a fantastic trip, a great festival with great company, great friends, and most importantly: great beer! In case you didn’t see it, we put a call out recently for an understudy for Gareth for when he’s unable to do a show. And after the audition process we were very excited to welcome Rob Holman to the team! 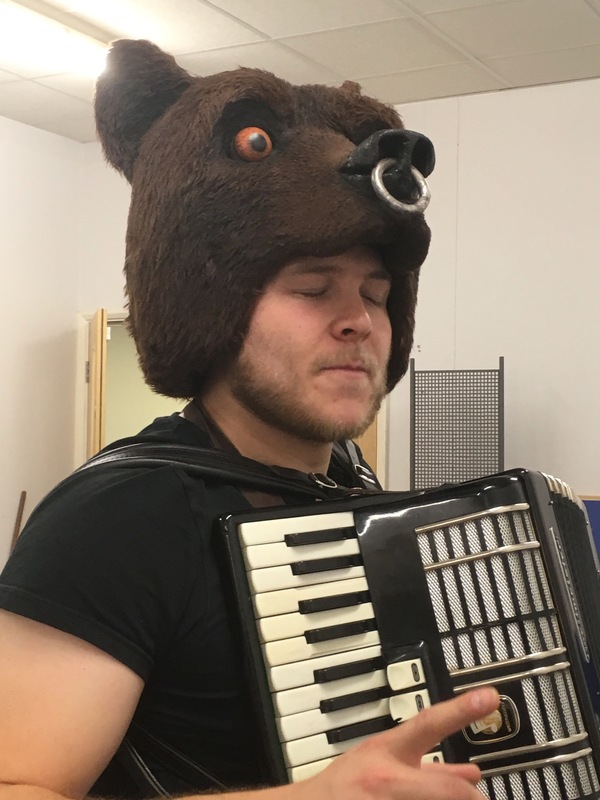 Rob is a talented performer and musician who runs 4front theatre in Worcester. Alongside Rob, we also asked Fabularium regular Anna Shotter to join in too. So we returned to the rehearsal space and got into the playful spirit! We love meeting and working with new people, and Rob will be a great addition to the team! 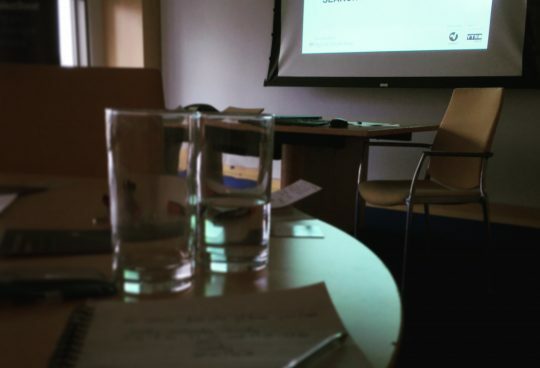 October saw an interesting new step for us as a company when we were successful in a commission based in Gloucester. 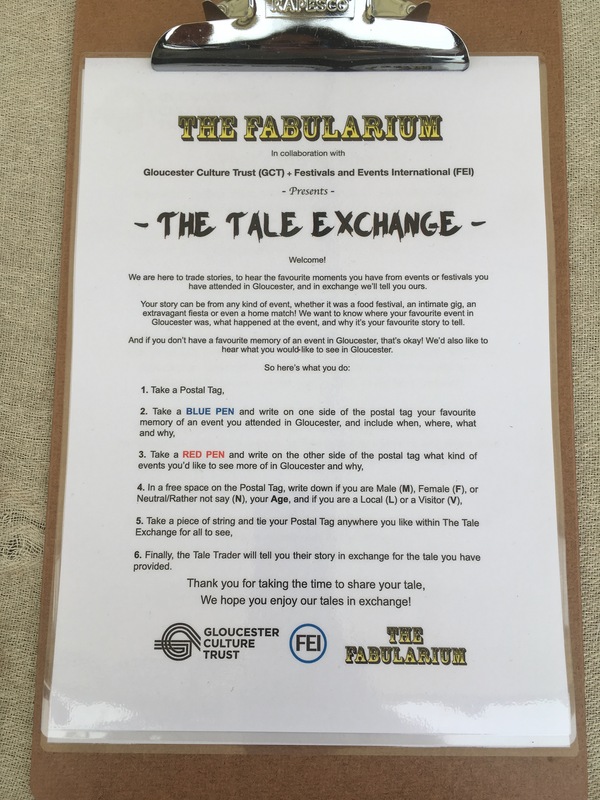 In collaboration with Gloucester Culture Trust (GCT) and Festival and Events International (FEI), we created an outdoor installation called The Tale Exchange: a work-in-progress piece that combines outdoor theatre, interactive art and data sampling to offer the public a chance to dicuss festivals and events in Gloucester. 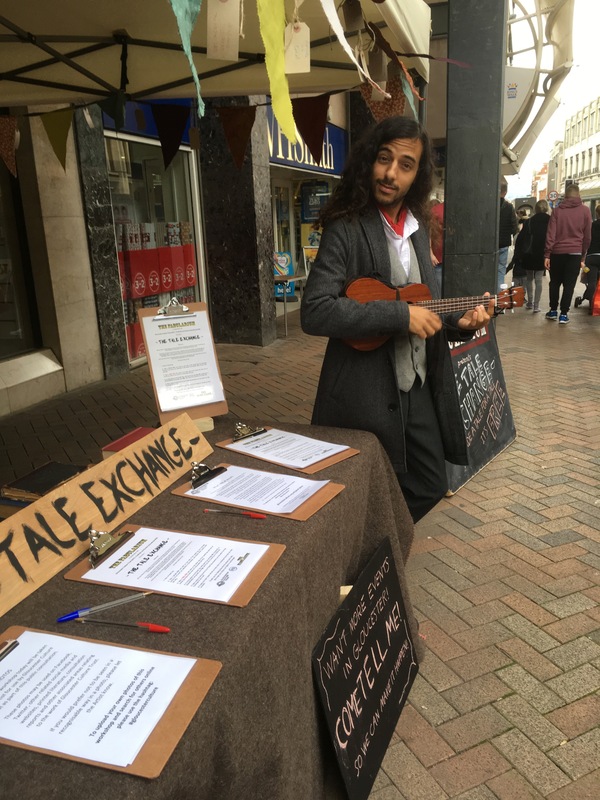 The piece was a one-person show (me being that person) which gave the public the opportunity to exchange a fond memory of an event they have attended in Gloucester, and in exchange the performer would present one in return in the form of a short performance with a song. For me, it was a very interesting experience as I was born and raised in Gloucester and have my own experiences within Gloucester that I wanted to discuss with people and question what Gloucester needs more of. 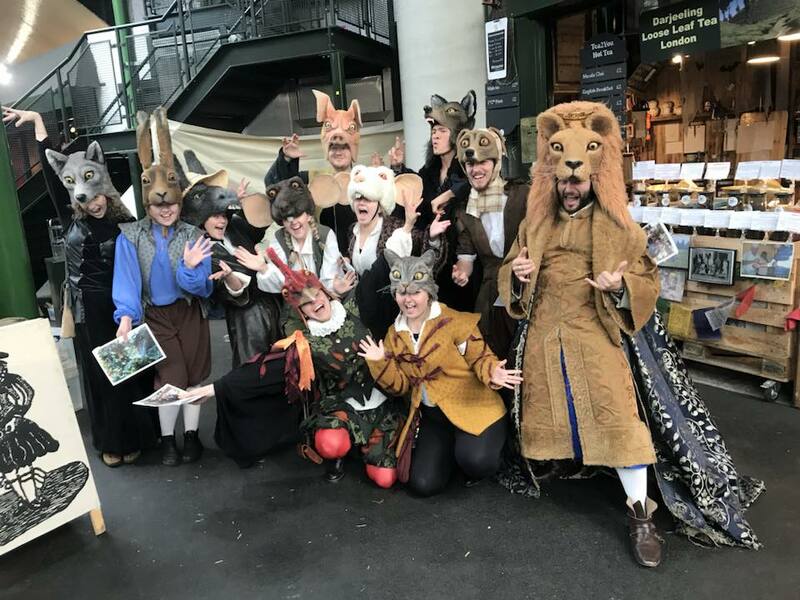 Another brilliant October Plenty took place on Bankside last month, and we were invited by the Lions part to bring The Cautionary Tales there to perform. And yet again, the students gave an exemplary performance, dazzling all with their storytelling and entertaining audience members young and old alike. We’re extremely lucky to have such a talented bunch with us! Everyone worked very hard to produce another fantastic festival. 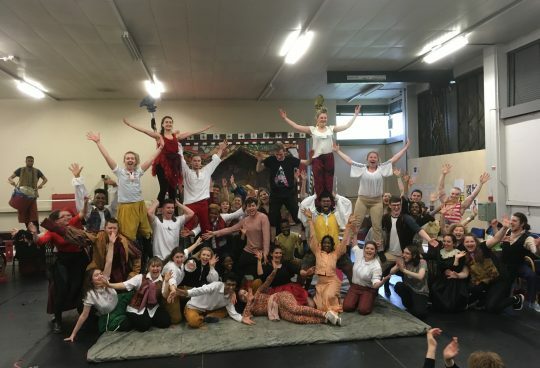 We love being part of October Plenty and Twelfth Night, and we adore collaborating with the Lions part, an inspirational company that we are very proud to be a part of. Until January now, for Twelfth Night 2018! The Plagues Doctors don’t see the light of day…they prefer to hunt the plague in the dark! Gareth and a couple of our performers spent three nights at the Avoncroft Museum in Bromgrove for Halloween to take part in their Trick or Treat: Fright Night experience! 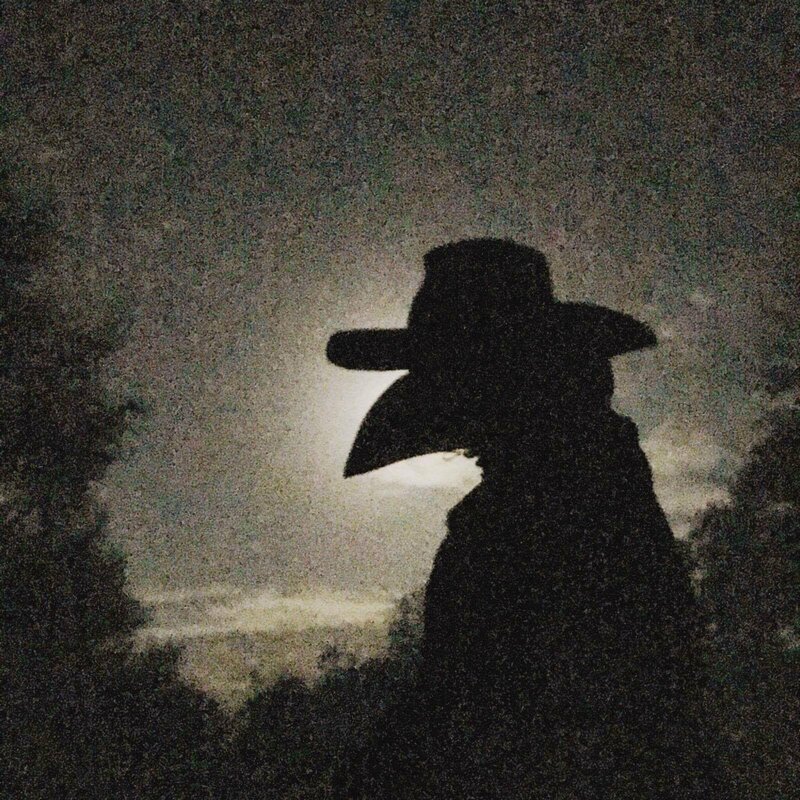 Every group that came through the trail were taken into a barn to be tested for the plague by our very own Plague Doctors, with some interesting results. And no, when I say results I don’t mean symptoms, I mean yelps of terror from the audience! 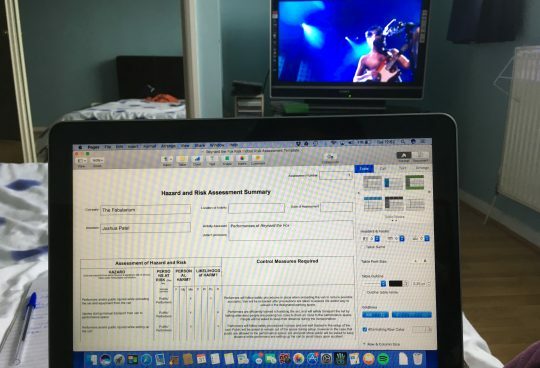 So we have been very quiet about new work on the horizon, but we can confirm that there is a new project in the pipeline that we are currently planning and bid-writing for. We’re going to remain quiet for a little longer as we’ll be pitching about this new show at the ISAN Conference in November, so stay tuned as the cat will be out of the bag soon enough! 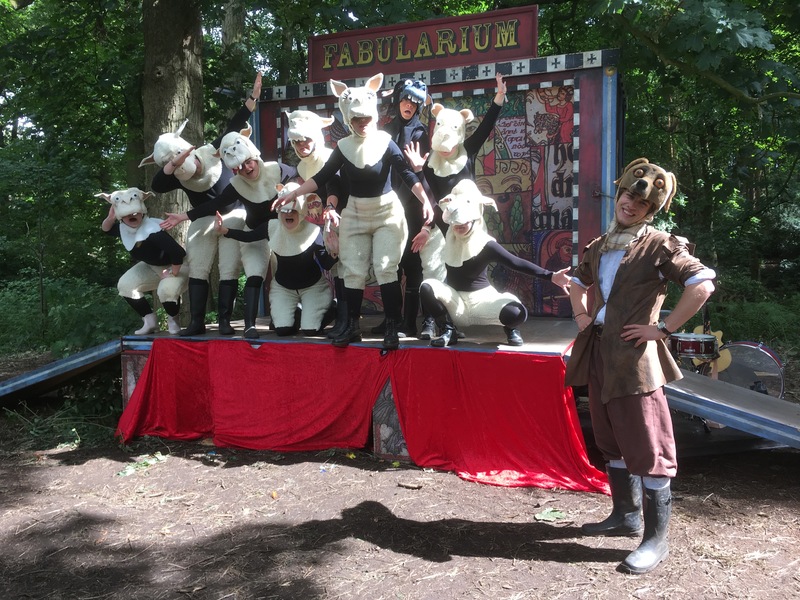 All I can say for now is that it will be everything you would expect from The Fabularium: imaginative storytelling, live musical accompaniment, playful puppetry, and strong imagery. And in addition to this, it will be a bigger show, with new techniques and disciplines, and even some stage fighting! That’s everything for now folks. If you like what you’ve read please do feel free to share our blog on your social media feeds, we’ve hit 1000 likes on Facebook, currently on 799 followers on Twitter (we only need one more!) and over 300 followers on Instagram! It’d be great to expand further to increase our outreach so that we can inform more people of when we have FREE PERFORMANCES in areas nearby! All the best everyone, cheers for tuning in.